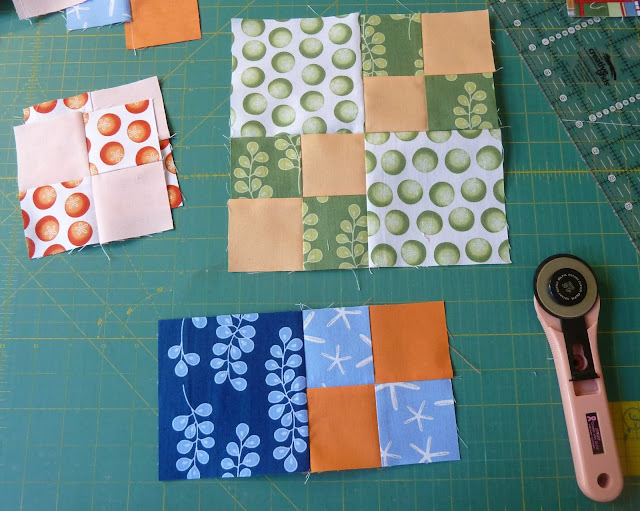 This one has been done for awhile but I was waiting for some water for the photoshoot:-) When I was finishing up my Keeping It Together Again quilt I found a set of extra 9 patch blocks. I'm really not in to batiks these days and wanted to pitch the whole lot but my inner-hoarder couldn't let them go. 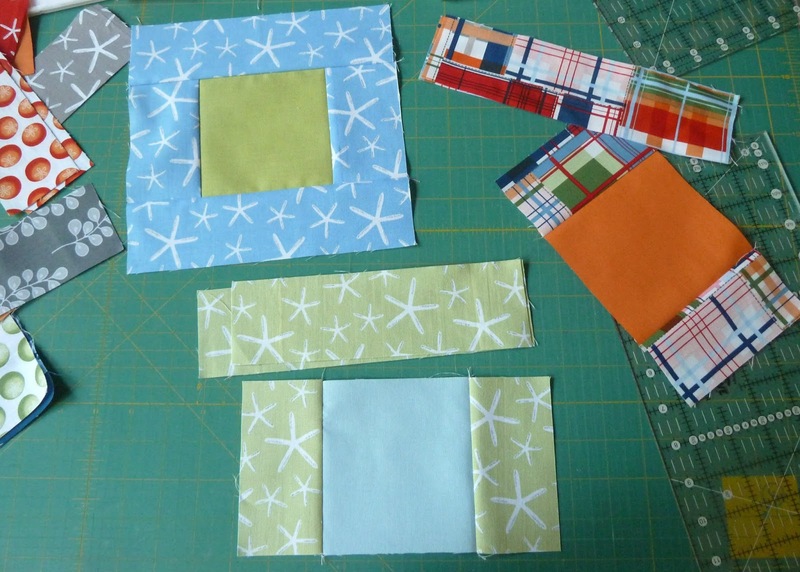 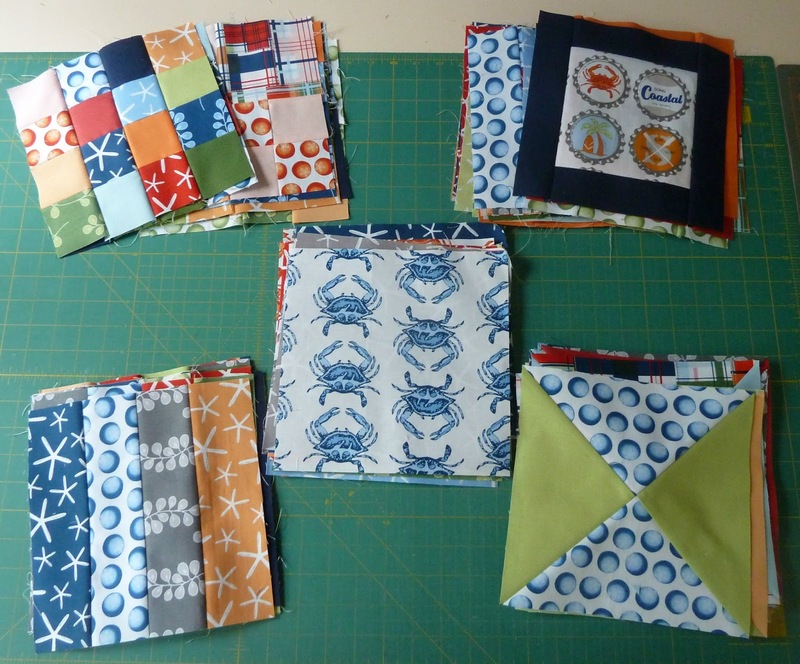 I decided as a compromise with myself that I would use the blocks to make a charity quilt and then I could donate the rest of the fabrics. 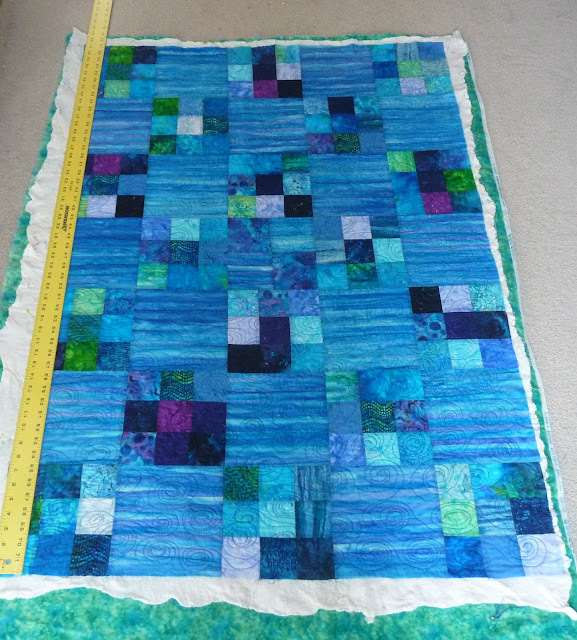 I had a large piece of the stripey blue fabric but in the end it turned out I was one block short for the intended layout. 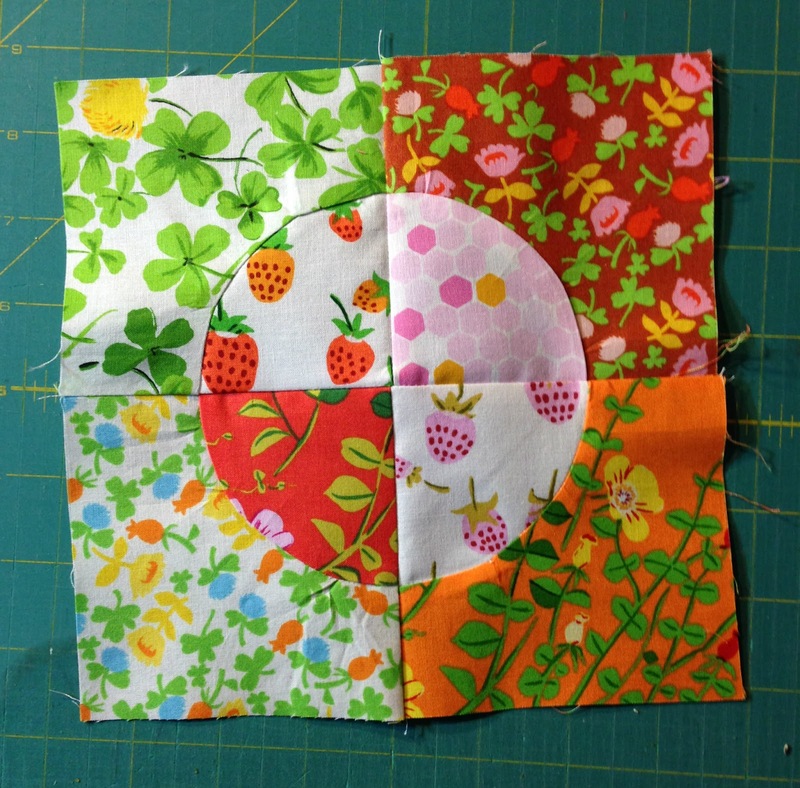 Not to be thwarted I made a 4 patch for the center block and went with it. 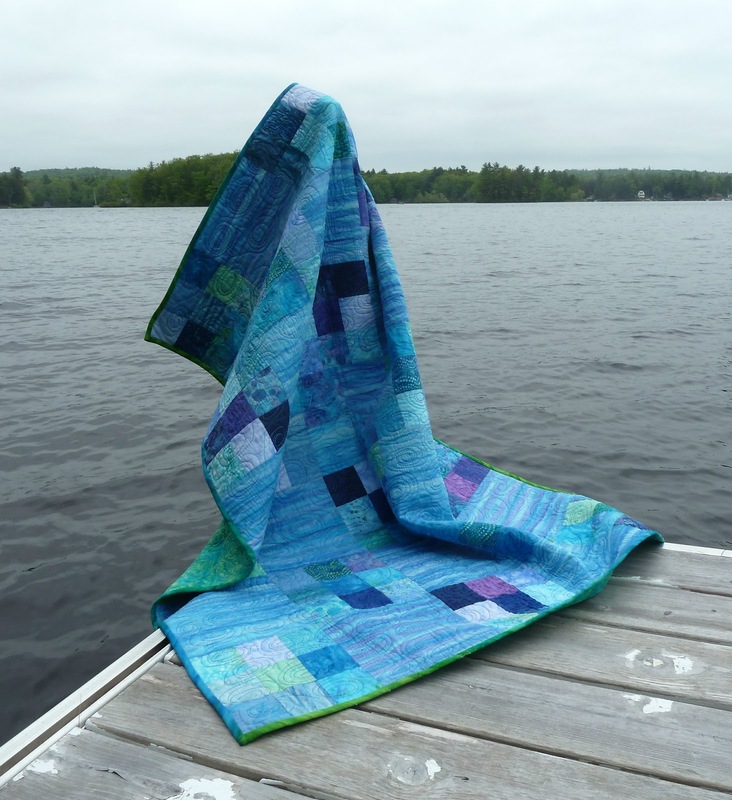 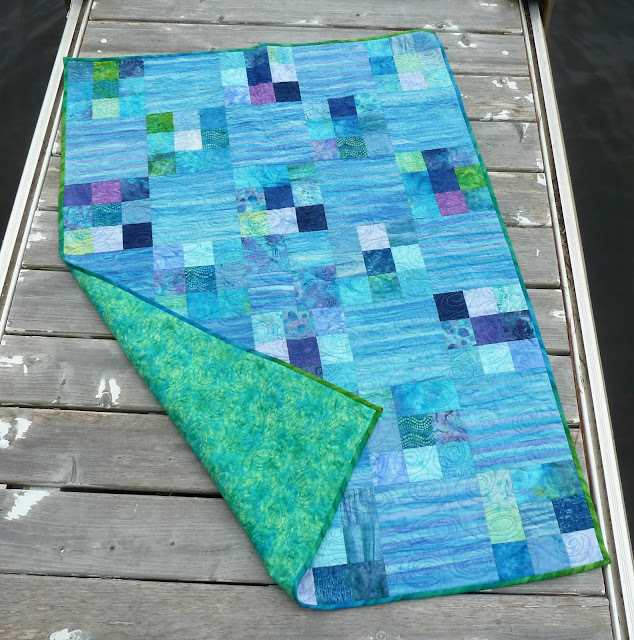 I got some great new tips on blocking quilts from Meadow Mist Design and the amazing Caro of Splityarn that I tried out on this one and I got to use my new giant ruler that I won. I usually run a basting stitch around the edges of my flimsy before I baste the layers together but I think from now on I'll take another pass around the edge when the quilting is done to hold everything together before throwing it in the washing machine. 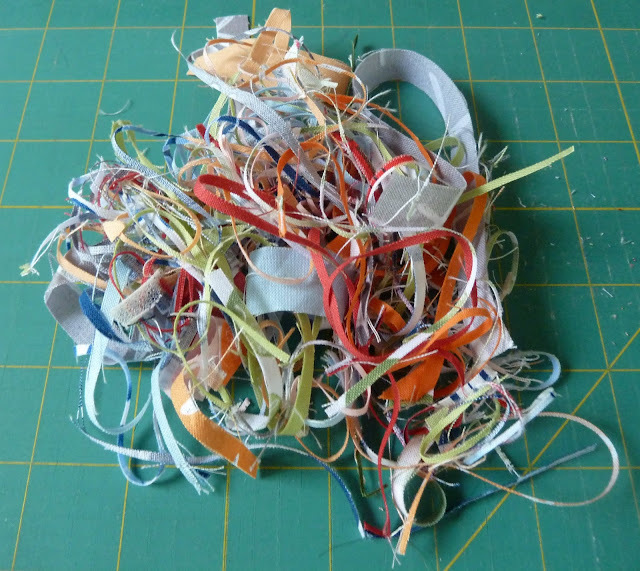 I am happy to report this has been delivered to someone who will actually appreciate it and my studio is now batik free:-) As Amanda Jean says, "It's all just fabric"! 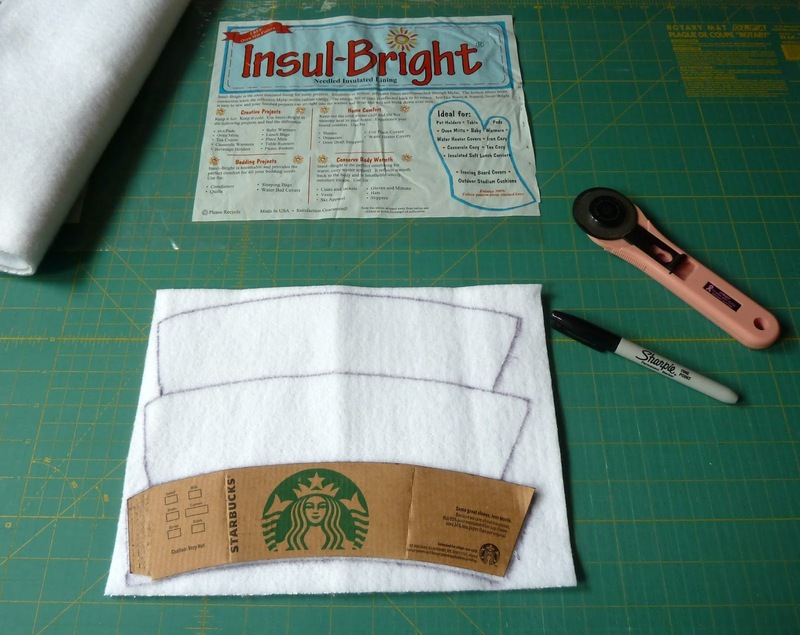 How do you break up with fabric you no longer love? 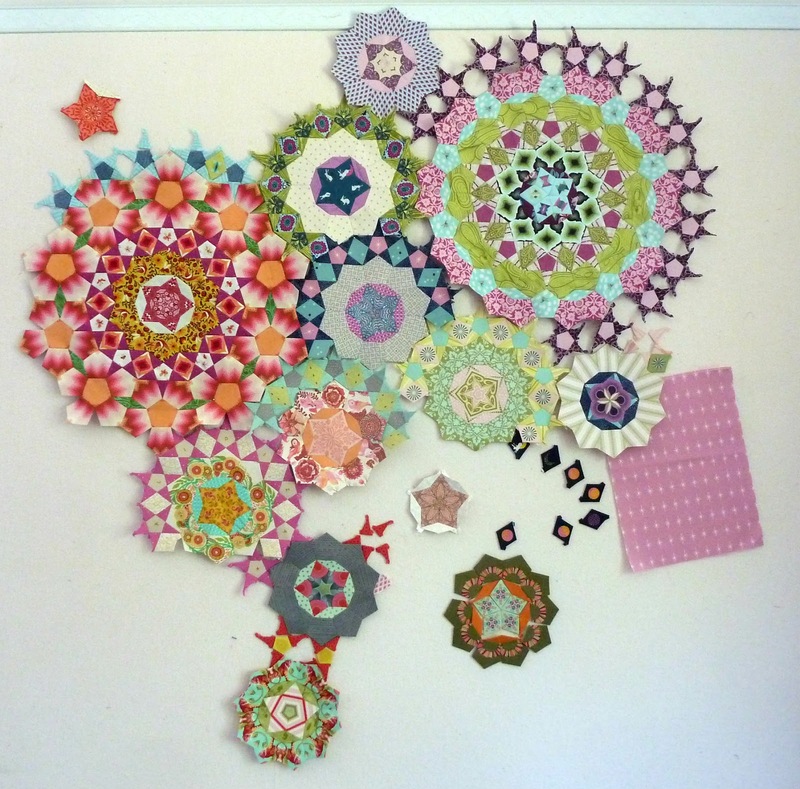 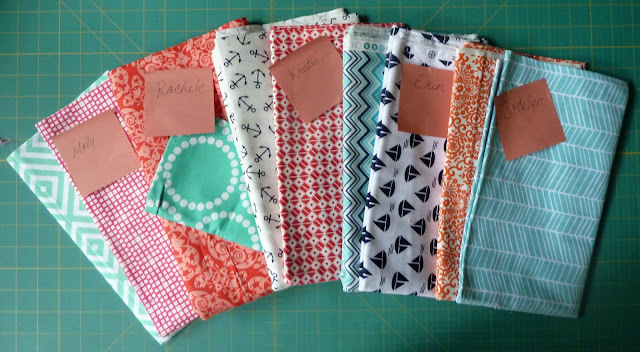 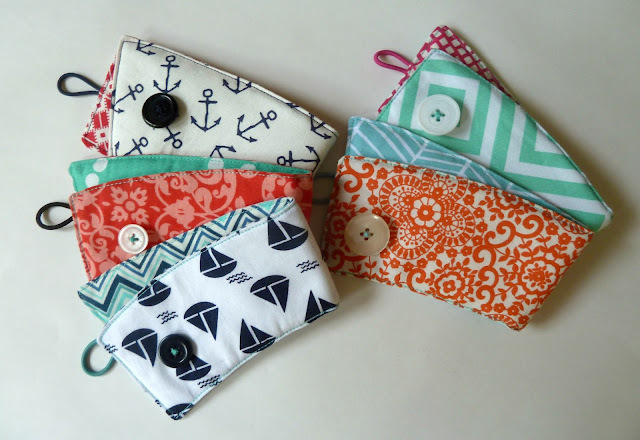 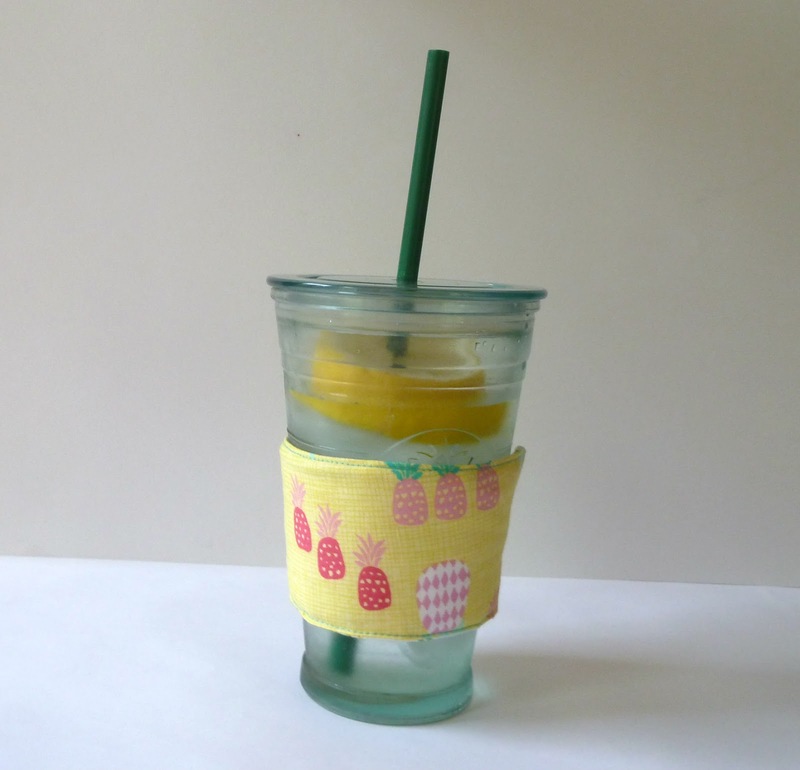 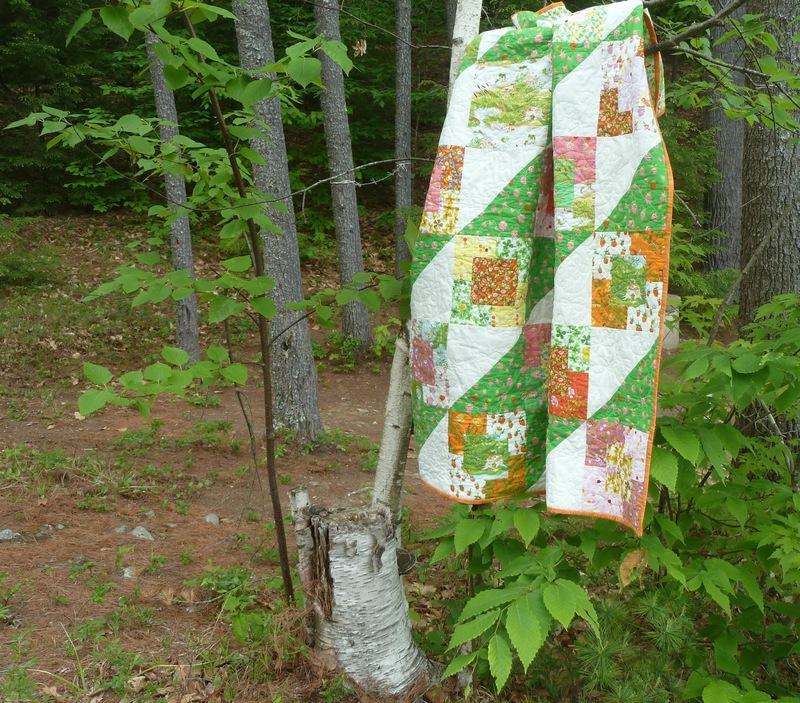 Hanging around at this week's Finish it Up Friday by Crazy Mom Quilts. 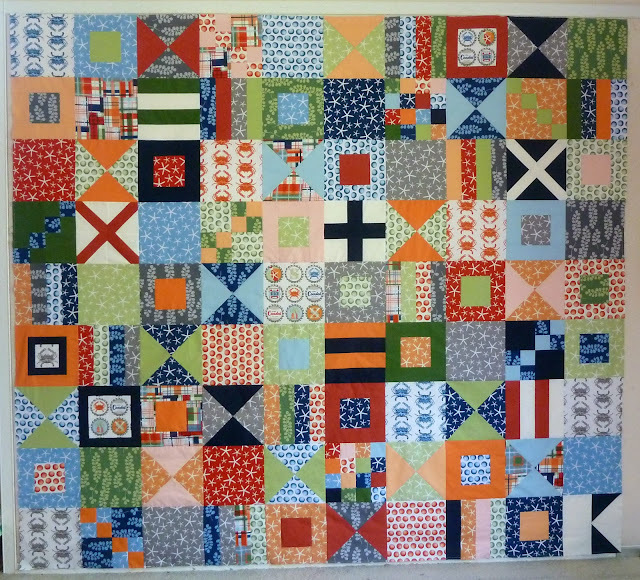 Finished quilt is 38" x 54"
Thread: King Tut Suez (#915). 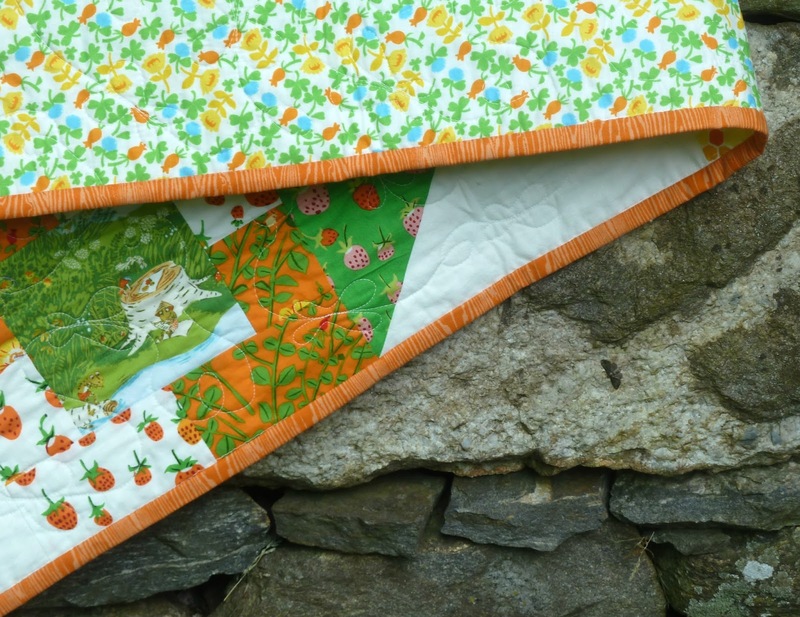 I feel like I've talked about this quilt so much in the making that there isn't much left to say. I started it on the Boston MQG retreat in March and it's been amazing to watch a stack of fabrics transformed into a quilt. 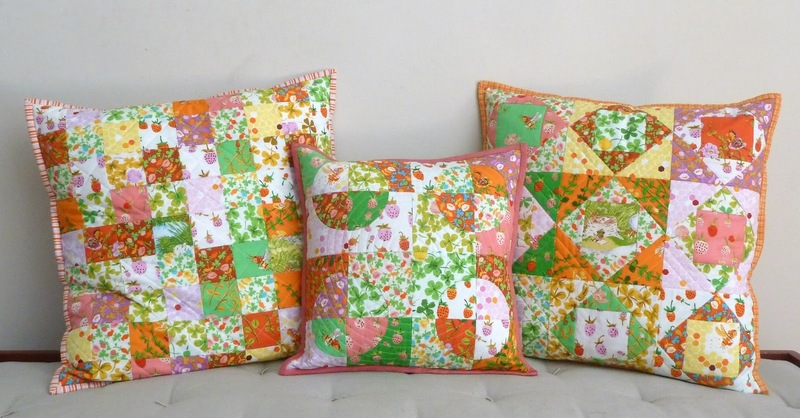 I have to admit this wasn't my favorite Heather Ross line but I love how sweet it turned out. 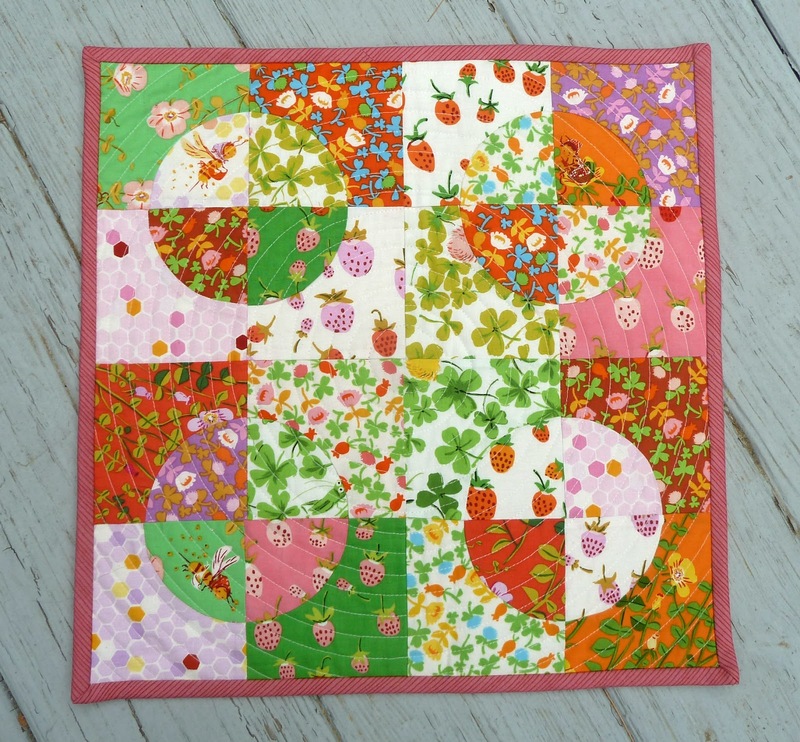 And I'm still ridiculously pleased with how this butterfly quilting came out. 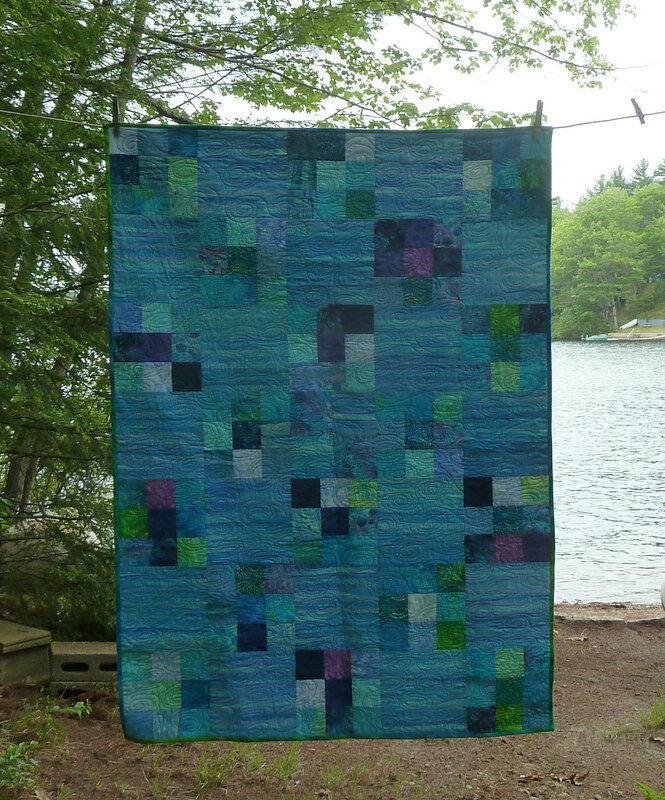 It truly makes the quilt! 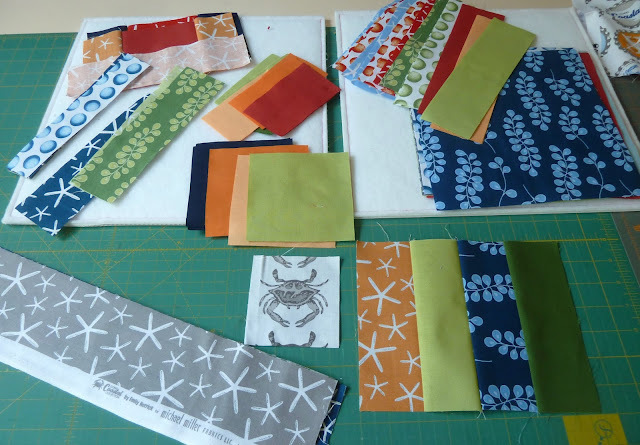 After using up pretty much every last scrap making all the things with this collection I was a bit stuck for what to use on the binding. 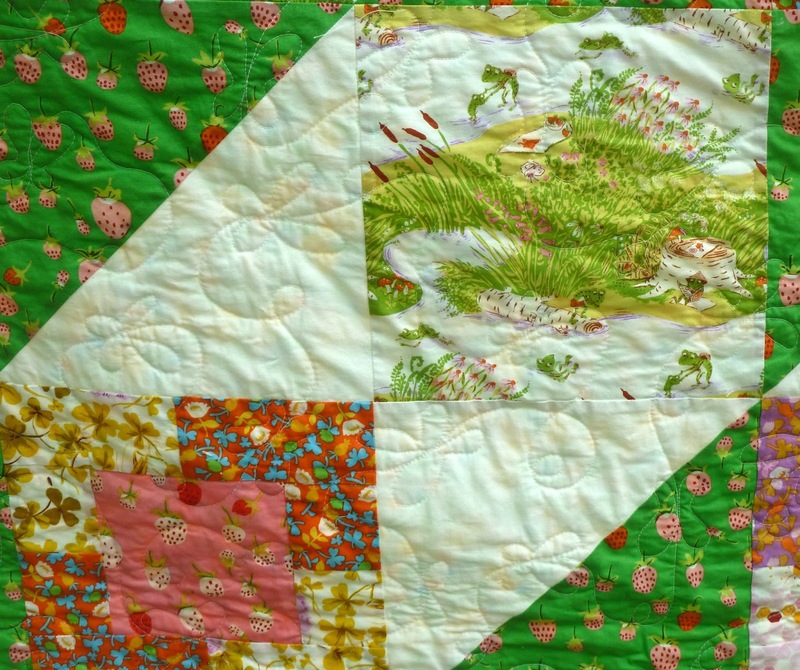 Nothing I had left was working for me so I dug into my stash and came up with this Joel Dewberry woodgrain. 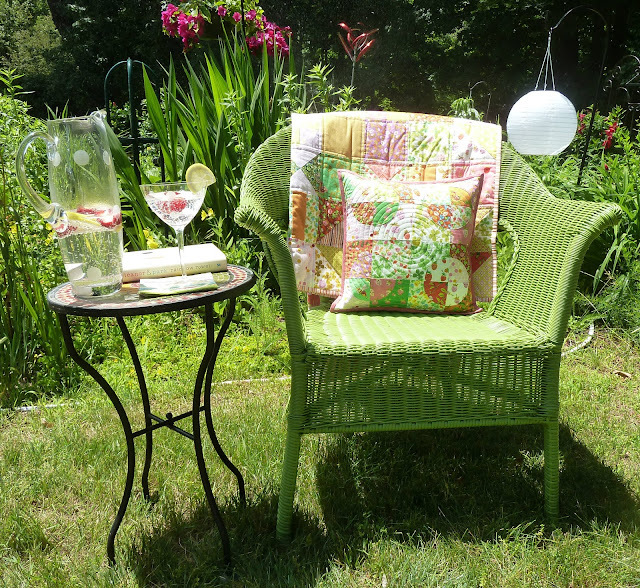 Perfection!!! 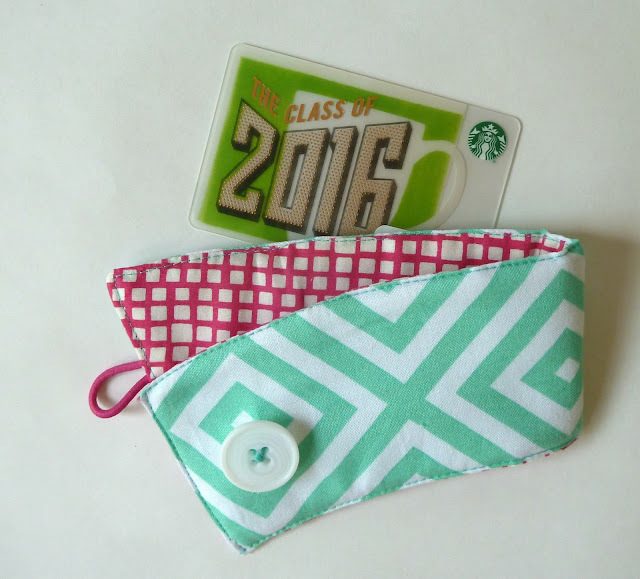 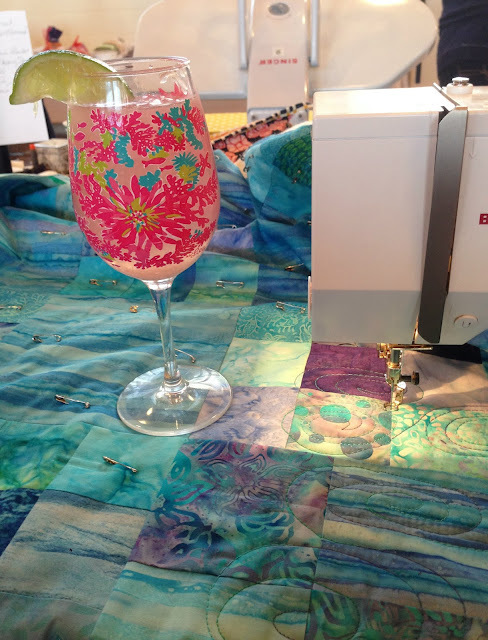 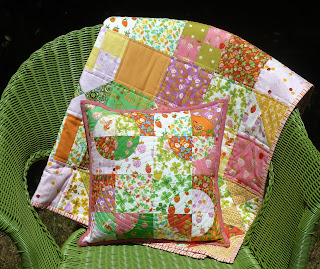 Hanging out with this week's Finish it Up Friday by Crazy Mom Quilts and a finish for Q2 of the 2016 Finish Along. Finished quilt is 60" x 60"
Pattern: Adapted from Jedi Craft Girl's Stair Steps quilt. 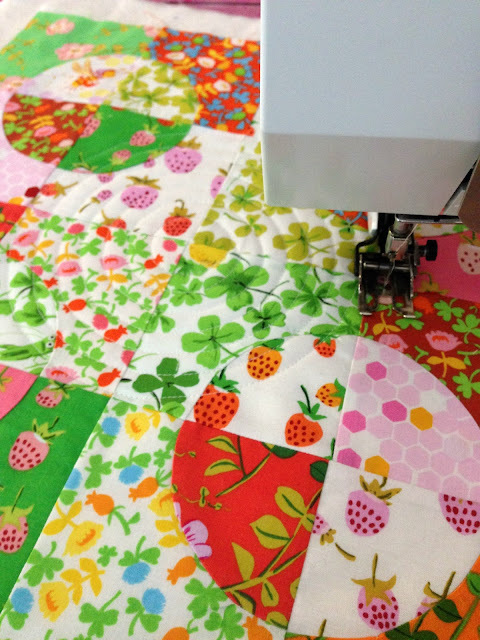 Fabrics: Briar Rose by Heather Ross, Michael Miller Cotton Couture in Soft White. Binding Joel Dewberry Aviary Woodgrain in Orange. 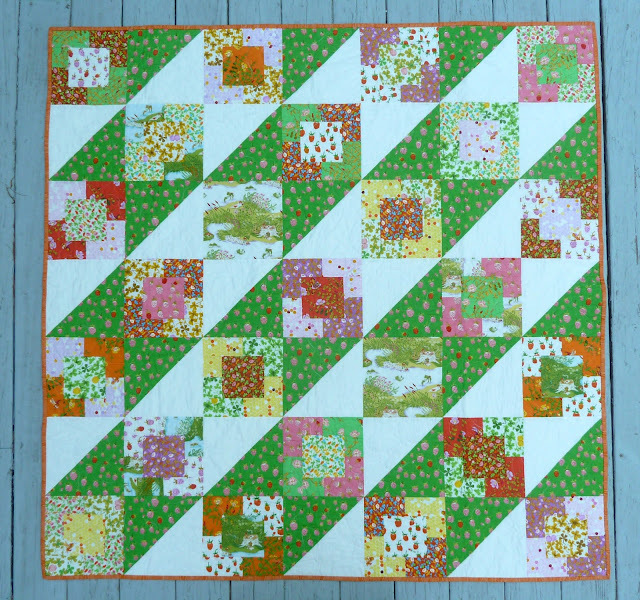 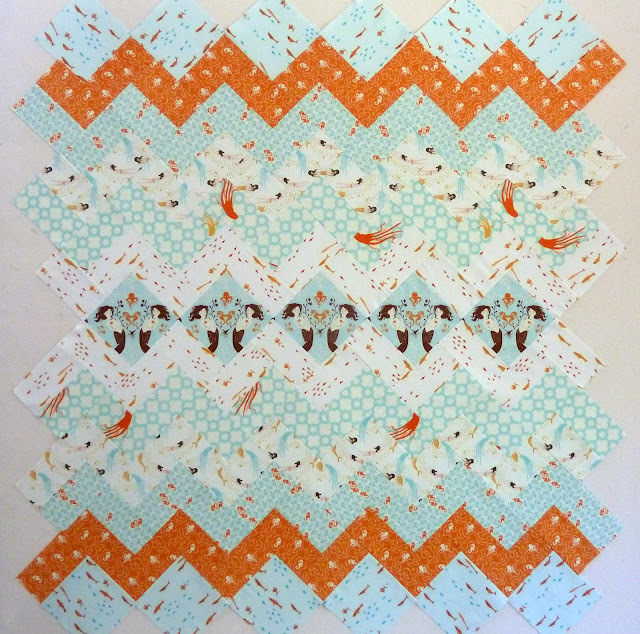 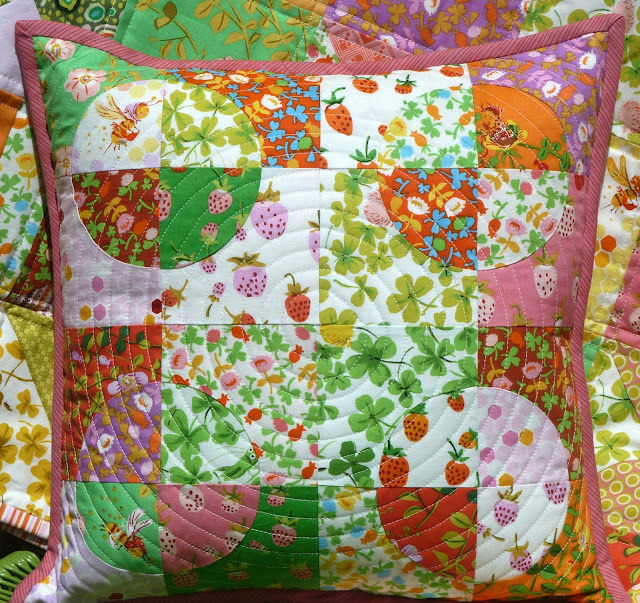 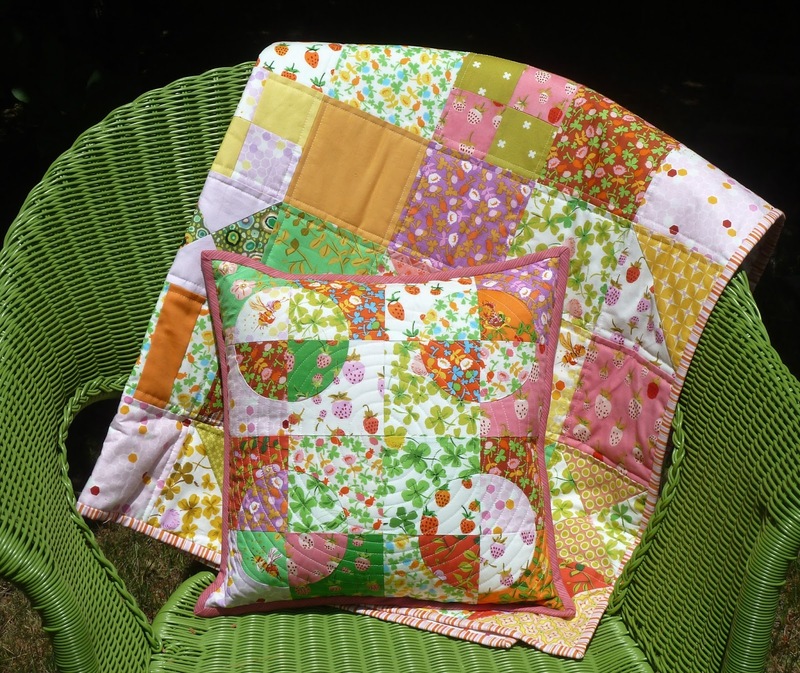 Quilting: FMQ inspired by Flutter Bys pantograph.